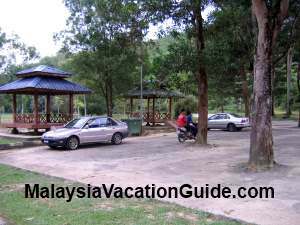 Kerling Hot Spring is located at Kampung Air Panas, Kerling and is a few kilometres away from Kuala Kubu Bharu. If you are looking for a spot for picnic, this is one location that you can go to. 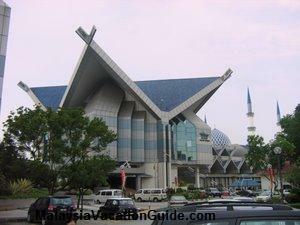 This place is managed by Hulu Selangor Municipal Council. 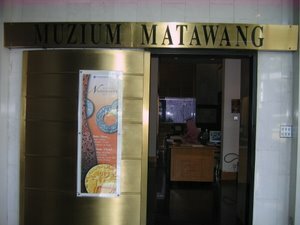 Look out for the signage with brown background. The final 1 km small road leading to the hot spring. There are plenty of parking bays available for you to use. 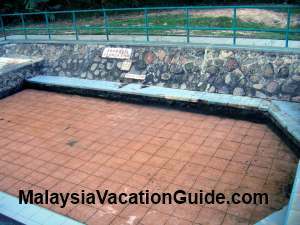 However, do not expect too much as there is only one hot spring that can fit 10-12 people and it is not that hot compared to the ones in Selayang and Sungai Klah. 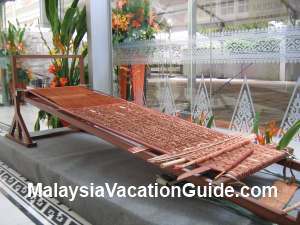 The other better alternative is to dip yourself at the river within the vicinity of the pool. There are a few gazebos that you can use as shelter from sun and rain. 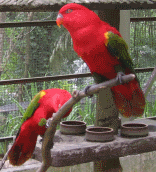 Restrooms are available for your use as well. Most of the visitors who come here are the locals, many of them are children brought by their parents or grandparents. 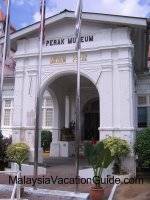 If you have the time to spare on your way down from Fraser's Hill or Kuala Kubu Bharu, you can pop by and take a look at this place. 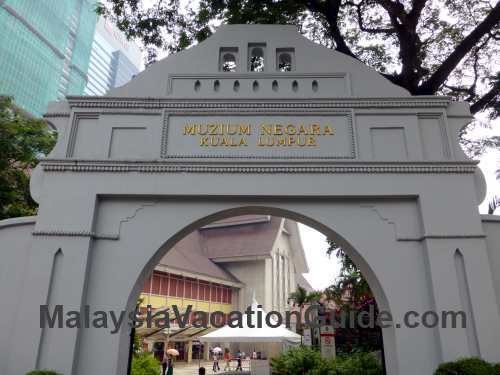 If you are not thinking of using the hot spring or taking a dip on the river, allocate 30 minutes to walk around this place. If you intend to use the hot spring, remember to bring your own towel and extra clothes for changing. The arch at the entrance to the village. The one and only hot spring. Most children prefer to play at the river just beneath the bridge. 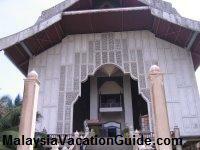 The best way to come here is by car as you will have to go into the village of Kampung Air Panas. 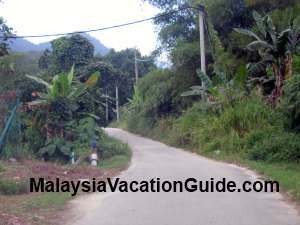 If you are coming from Kuala Kubu Bharu, use the trunk road and go towards the direction of Tanjung Malim. 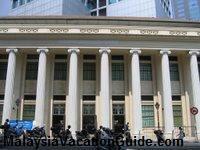 As you go along this road, look out for the signage Kolam Air Panas. 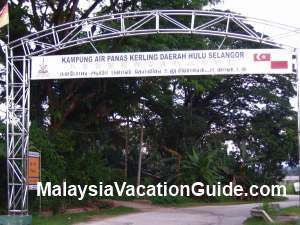 You will turn towards the right and pass the arch with signage "Kampung Air Panas Kerling". 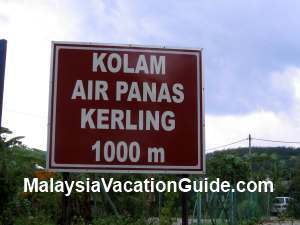 Go further up and you will see a signage "Kolam Air Panas 1000m". The road towards the hot spring is small and can only accommodate one car hence you will need to be careful as you drive. The GPS coordinates of this recreation park is N03° 36.587' E101° 36.549'.